Blind and partially sighted patients will be offered the specialist support through the newly appointed Eye Clinic Liaison Officer (ECLO) Emma Griffiths. Emma has been appointed to the Eye Department at St Thomas’ Hospital, funded by Action for Blind People, to support patients who have recently been diagnosed or have existing sight loss. 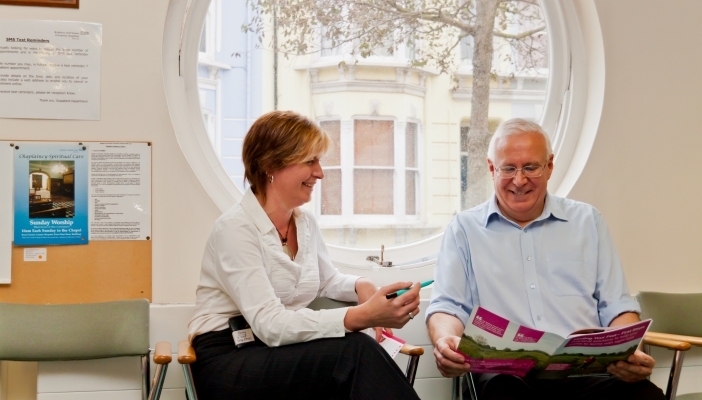 ECLOs, also known as Sight Loss Advisers, work alongside health professionals, offering help and advice on a range of areas including independent living, returning to work, benefit entitlements, offering advice on coping at home, and emotional support. RNIB and Action for Blind People are calling for every eye department in the UK to have access to an ECLO. Find out more about the benefits ECLOs can bring to an eye department.